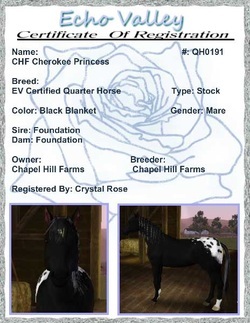 Cherokee is a pure bred Quarter Horse mare. She is agile, friendly and brave. I am continuing her training and enjoying her immensely.